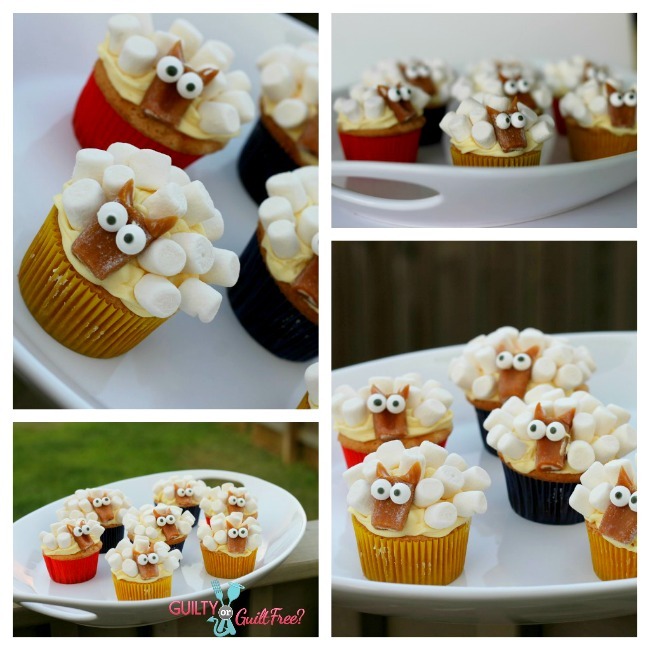 These sheep cupcakes are so fun to make and completely adorable. Look below for a tutorial on how to make sheep cupcakes as well as a short video explaining! These are not only fun to eat but so adorable to serve, making your next party or event a show stopper. I have been seeing this sheep cupcake idea floating around cookbooks, kids cookbooks, and cooking magazines for quite some time. Unfortunately I do not know who to attribute the idea to because its sorta everywhere, but here is yet another version of how to make a sheep cupcake. 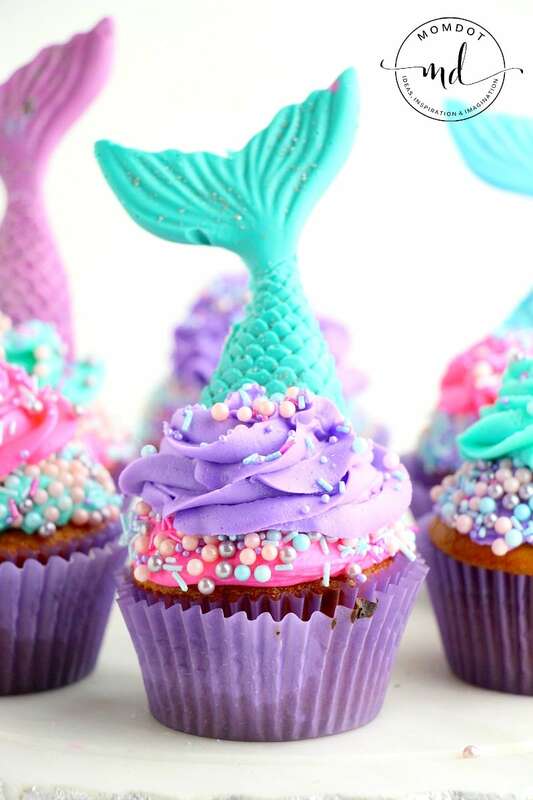 If you are looking for fun theme dessert ideas, try mermaid cake as well! If you know me at all, you know that I could not resist creating such a cuddly little creature that is buttered up with marshmallows. The great thing about this is that you can use a variety of caramel candy’s ( I used Cowtails ) as long as they are pliable, you can buy premade eyes (They sell at target in the baking department) or do them with icing, and you can use any flavor cupcake you like! There really isn’t a recipe to share because this isn’t about the cake, but rather the final look. Looking for another fantastic cupcake? Try one of these other fun ideas. These are so sweet! Perfect for a baby shower!